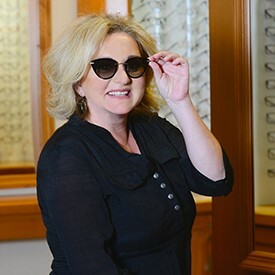 Her current glasses are Valentino, Tiffany or Tory Burch — depending upon her mood. 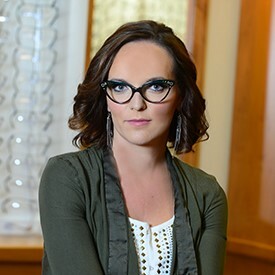 She likes classic styles, black frames, maybe a striking color. Deborah also likes hiking, Café Yumm, dancing, Prada and making others laugh — but not necessarily in that order! Mountains or Coast? Either one for hiking! Favorite thing about Salem? The people are so nice here. 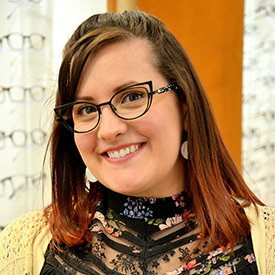 Kristin’s favorite frames are Lafont — because of all the different colors and styles. 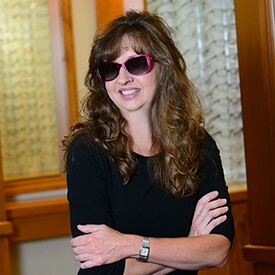 For sunglasses, she recommends Maui Jim. For lunch, she recommends PB&J — because every day that’s what she has! But don’t get the wrong idea. Her favorite thing to do is to jump on her Harley and head out of town. Born in England, Inamarie favors classic european frame styles that are timeless and unique. Theo (pronounced tay-oh), Bevel, and Zen are frames she wears. For sunglasses, she likes to add a little color to the lens, personalizing the design just for you. Fun Fact? I have an english accent but my last name is French. Positive and upbeat, Lindsey is a Salem-girl, born and raised. 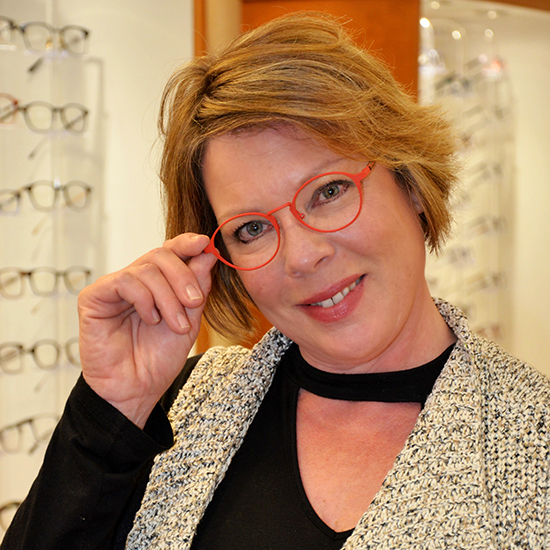 Her favorite frames are Lafont, though she is currently wearing LA Eyeworks. But what she really likes are sunglasses! Tiffany Aviators, anyone? She also likes camping and is learning to play the guitar. Go, girl! 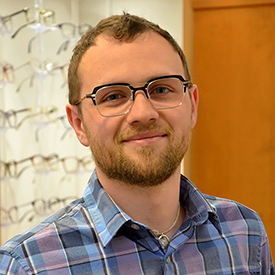 A certified optician from California, Joe is currently wearing John Varatos (his favorite frames!). He also likes the quailty and designs from Oliver Peoples, Feb31st and Thom Browne. On his own time, Joe is all about the Oregon lifestyle: fishing, camping and being in the great outdoors. 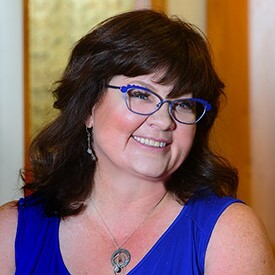 Being an interior designer in her previous career, Suzette loves the quality, colors and stylish flare of brands like Etnia O Barcelona, Lindberg, and Lafont. In her free time she into upcycling furniture, wood, and jewelry. Oh, and she also loves big sunglasses! Glasses or Sunglasses? Love Sunglasses! When not playing in tournament volleyball almost every weekend, Kristina is off chasing waterfalls. So, no wonder her secret sauce for energy was summed up in one word: Coffee. She also happens to love summertime, her LA Eyeworks frames, and tomatoes! Mountains or Coast? Mountains on the coast! Fun Fact? Born in Moldova, Kristina speaks Russian! This girl loves being outdoors. Kayaking, hiking, skiing, gardening, anything – as long as she is outside, and especially if she needs her Maui Jim sunglasses! 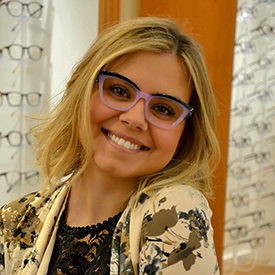 April also loves Woow frames with their great fit, stylish look, and fun colors! Lindsey loves dancing and sunglasses. And, just to be clear, she also loves dancing in her sunglasses! For dance, it can be ballet, jazz, or contemporary. For sunglasses, well, it’s kind of the same – a different style for every occasion: classic, bold, modern, fun, and colorful. Mountains or Coast? Mountains! With rivers, lakes and fresh air for hiking, swimming, and…dancing! 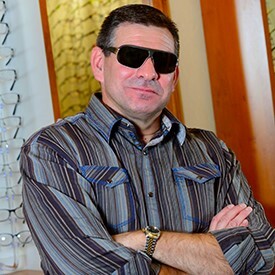 Meet our quality control technician, the man behind the glasses! With a passion for detail and an interest in woodworking, Zach grew up in Pennsylvania, but chased the sun west and settled in Oregon. Which means he’s ready for anything! Mountains or Coast? Wherever it’s sunny!